“This article was published on October 5th, 2015 for Food Secure Canada's Eat Think Vote campaign"
A child standing before me with a carrot in his hand and a huge smile on his face is the most unforgettable image of my first experience in northern Manitoba. “I grew this and my kokum says it’s good for me and it’s free,” Mark* tells me through his gap-toothed grin. 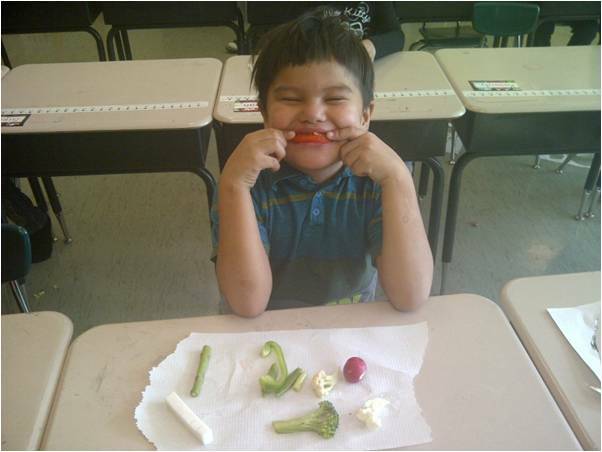 Already at such a young age, this little boy has the wisdom to know that locally produced, healthy and affordable food is exactly what his community needs to stem the tide of the severe and ongoing food security crisis in northern Manitoba. He then took me on a tour of their school garden and showed me their best crops; which vegetables he gets to take home to his brothers and sisters; and pointed out which plants he grew from seed, noting that it was his responsibility to make sure the watering was always done on time. Although a simple exchange between strangers, the experience was so unforgettable precisely because of the hope and optimism he not only exuded but embodied for the community itself. This little boy was being taught incredibly important life skills and the value of producing your own food through this school garden project - and the look of pride that comes of such skill development was unmistakable in him. It struck me then that the importance of what happens in a school garden transcends the fundamental learning and food production of the process. It extends to the healthy emotional development of a child; it instills values of responsibility, ownership and discipline; and it is also an excellent way to use the schoolyard as a classroom, reconnecting students with the natural world. This particular garden also incorporated traditional indigenous knowledge around planting and medicine so in this way, the school garden also has the ability to redress the brutal interruption of indigenous knowledge transfer by the residential schools in Manitoba. Programs like this teach valuable gardening and agriculture concepts and skills that integrate with several subjects, such as math, science, art, health and physical education, and social studies; as well as several educational goals, including personal and social responsibility. These programs need to be a priority for addressing the food security crisis in northern Manitoba and to give voice to these concerns, Canada needs to act. 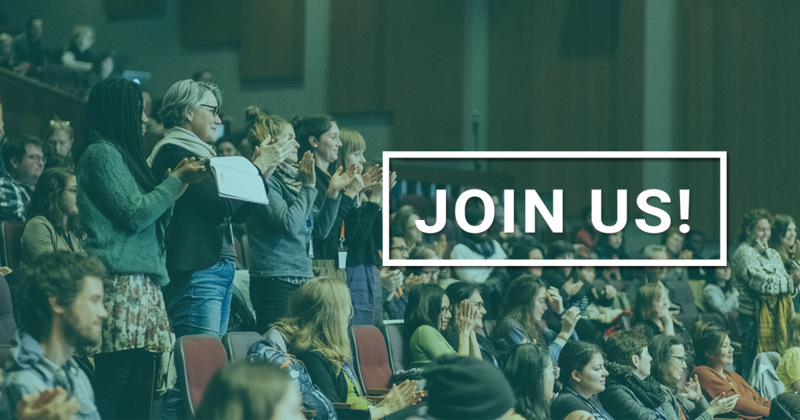 We urgently need a coherent, national food policy that guarantees universal access to adequate amounts of healthy and appropriate food for all of Canada’s children. Strong national leadership that recognizes the importance of a comprehensive national food strategy is a critical step in ensuring that the futures of children like Mark* is one free from hunger and malnutrition and instead filled with opportunity and promise. The Canadian north has a unique set of food security challenges that need to be addressed at the national level. 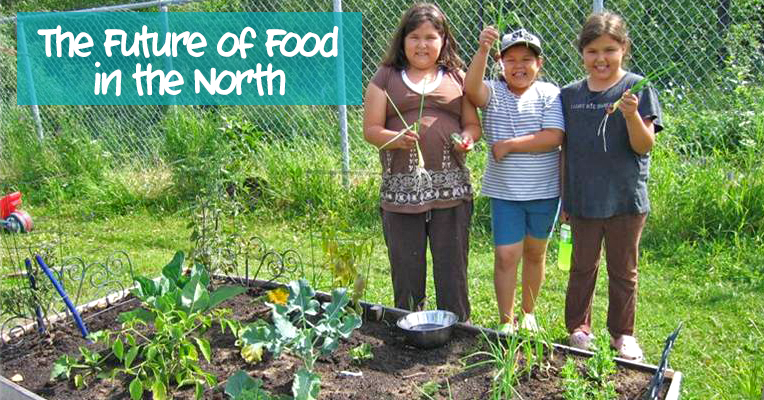 An inclusive national food policy that includes a strong northern focus is exactly to tool needed to provide programs like Mark’s with the ecosystem of support necessary to build healthy and resilient children who in turn, contribute to the growth and development of healthy, resilient communities. For this reason I urge all Canadians to lend their voice to make northern food security a priority on the political agenda. Developing national food policy that includes the northern context, and the recognition of the right to food for Indigenous Peoples in Canada. Providing sustainable funding for Community Food Coordinators in all northern communities, as a mechanism to both act at the local level and inform policy. A basic income floor adjusted to reflect northern costs. 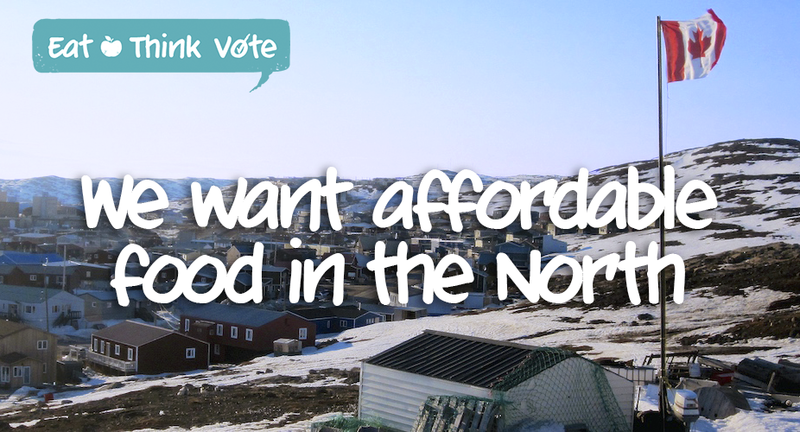 Re-allocate the Nutrition North subsidy to include non-profit food markets & the transportation of traditional foods. Reinstate subsidies for necessary non-food items such as gardening, farming, hunting, gathering and harvesting supplies, and equipment. Ensure the cooperation of all levels of government and the coordination of provincial, territorial and federal service providers, departments, and organizations. Establish accountability mechanisms, including clear timeframes and benchmarks, to address the current state of food insecurity among northern Canadians.